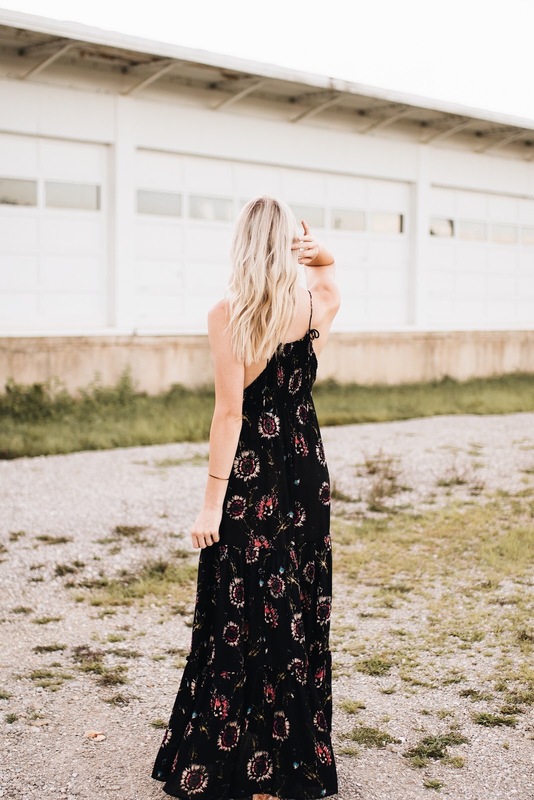 Maxi dresses are one of my very favorite things to wear. I love that I can throw on one piece of clothing and feel effortlessly styled! They're also perfect for those days when you don't want to wear anything remotely fitted (if ya know what I mean 😉). I naturally think ahead to someday when I'm a mom, and I think maxi dresses will be high up on the game plan for me. One of my cousins has 3 little ones, yet always manages to look put-together (she doesn't wear workout clothes out and about - ever!). I've noticed she wears a lot of maxi dresses because they're comfortable and breathable, yet also stylish and put-together. So smart! Even though I'm not a mom yet, I'm still down for that strategy right now. 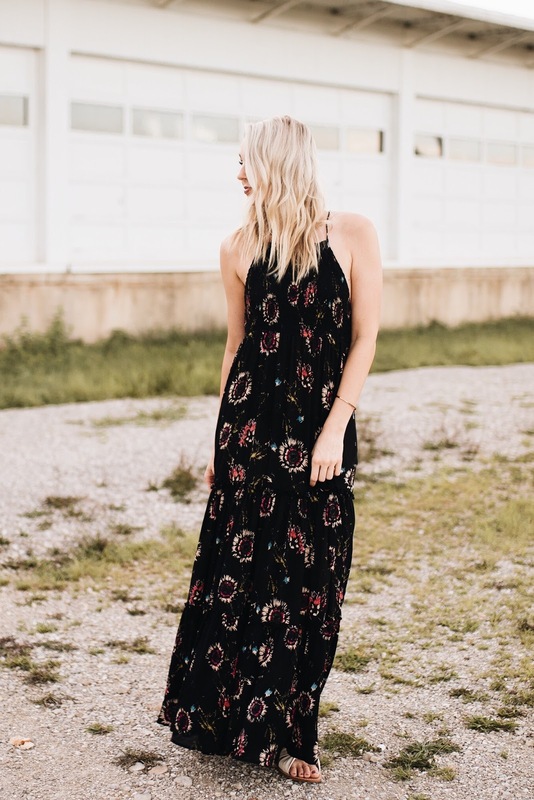 This Free People maxi dress caught my eye immediately. 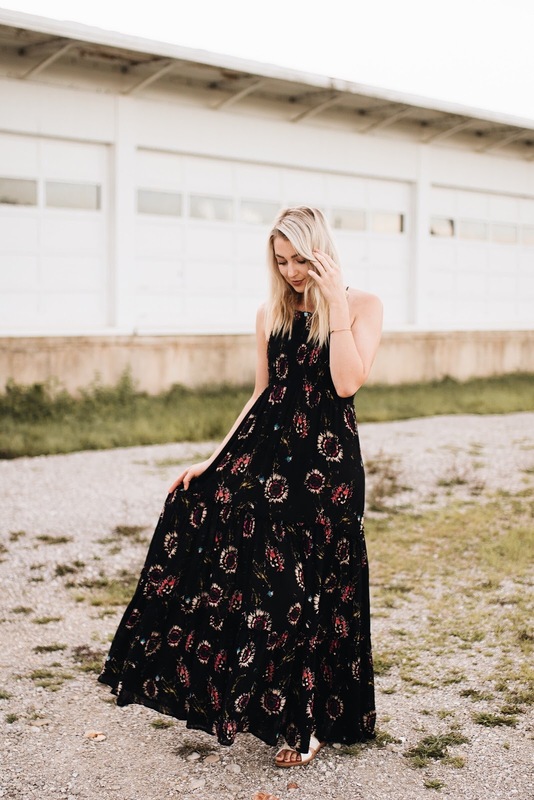 I definitely gravitate toward black floral prints, and I loved the ruching at the top, as well as the tie details (which make it customizable to your height). I wore this dress this past weekend for a 1st birthday/housewarming party, and it was perfect for the occasion (even in the heat!). I see it being a great dress to bring from summer to fall, and can't wait to style it with an oversized denim jacket.